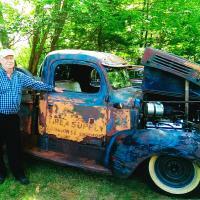 Paul Boothroyd standing by a 1946 Dodge used by the Firestone store located on Nason Street. 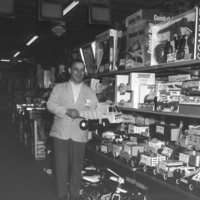 The Firestone Tire Store featured a large selection of toys. 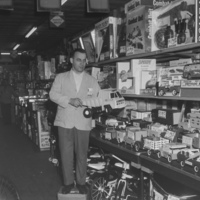 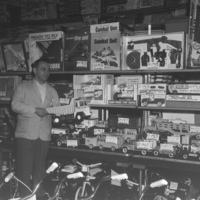 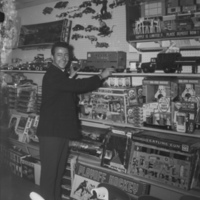 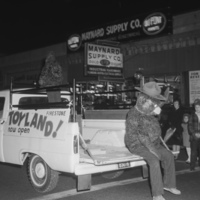 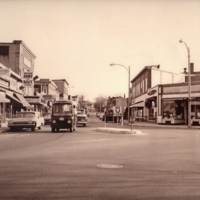 The Firestone Tire Store (16 Nason Street) featured a large toy selection.